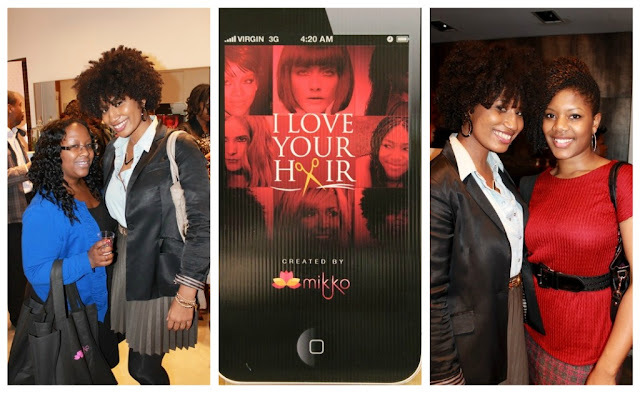 Last Thursday, I had the pleasure of attending House of Mikko's - I Love Your Hair App Party at Hair Rules. 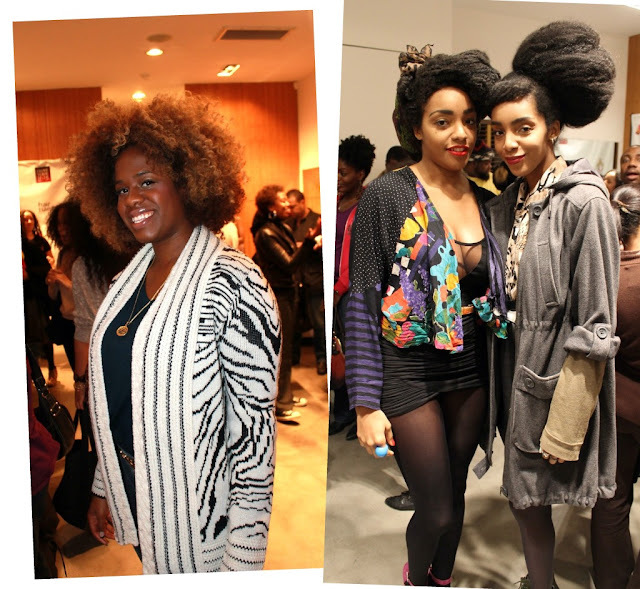 Dickey's salon was filled with beautiful naturals embracing each others kinks, coils and curls. Naturalistas had the privelge of seeing Dickey go to work on several guests while enjoying music, sweet treats, drinks and lots of schmoozing... Guests also took photos holding up mini-posters that read: "I love my________." - I chose: I love my Ginormous Curly Hair. I'm a lover of HUGE hair. My motto is the bigger the better and can't wait to reach those greatest lengths!! I'm extremely excited for the I Love Your Hair App since it's a mix of twitter and instagram but for hair and beauty! Sounds like the perfect way to connect women around the world, answer questions and share tons of information about all things HAIR/Beauty!! 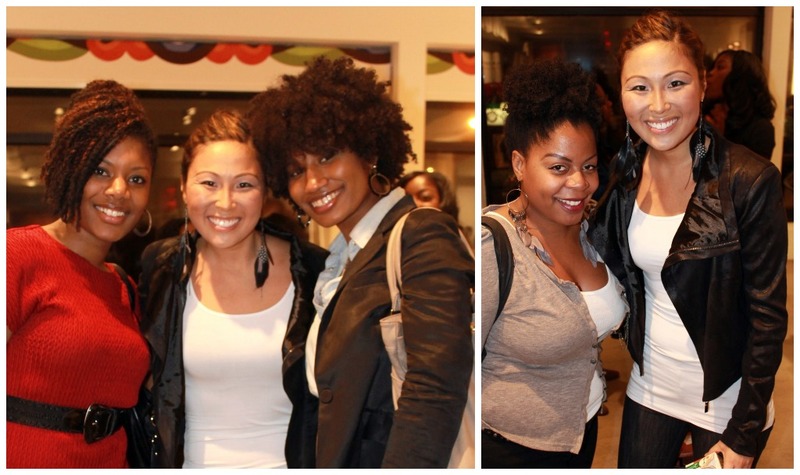 Below are some pictures from the event!! 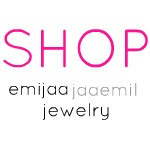 Visit House of Mikko for more information... Website and like them on Facebook!! I love your hair too :). I love your hair and your style.. tres chic!